The Northern Provincial Council’s Leader of the Opposition, S. Thavarasa, says that Chief Minister C.V. Wigneswaran should resign in the wake of court order issued yesterday against the latter’s decision to sack a provincial minister. President Maithripala Sirisena has emphasized the importance of implementing a methodology in producing quality films and teledramas which increase the taste for arts and aesthetics. 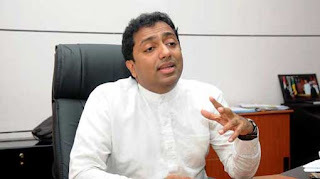 MP Kavinda Jayawardena says that the United National Party (UNP) has already decided on its candidate for the presidential election in 2020. Justice and Prison Reforms Minister Thalatha Atukorale said yesterday the suggestion made by some people to setup separate regional Courts to curb underworld activities would lead the country into a situation which prevailed before 2015. Prime Minister Ranil Wickremesinghe said today Sri Lanka should join India, China and other countries to reap the benefits of trade arrangements such as, the Belt and Road initiative and Asia- Africa trade corridor initiative. Janatha Vimukthi Peramuna’s (JVP) founding leader Rohana Wijeweera’s wife Chitrangani has filed a Habeas Corpus petition in the Court of Appeal seeking an order directing the government to produce Rohana Wijeweera who disappeared in 1989, in Court or to release him. Social Empowerment Deputy Minister Ranjan Ramanayake yesterday lodged a complaint with the Financial Crimes Investigation Division (FCID) against former president Mahinda Rajapaksa over the recent allegations revealed by the New York Times. Former United Freedom Peoples Alliance (UPFA) Minister W. D. J. Seneviratne, who defected the government along with 15 other UPFA members, yesterday said they should no longer be addressed as the 'group of 16’ because they have decided to work together with the Sri Lanka Podujana Peramuna (SLPP). Speaker Karu Jayasuriya today signed the General Sir John Kotelawala Defence University (Special Provisions) Bill, which would enable SAITM students to be absorbed into the KDU. China’s acquisition of the strategic Hambantota port from Sri Lanka has given it “control of a territory” just a few 100 miles off the shores of India, highlighting its “debt trap” and ambitious use of loans to gain influence around the world, a media report has said. 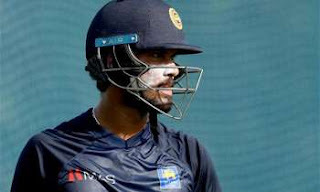 Batsman Kusal Janith Perera, who crashed into the advertising boards, while fielding during the second innings of the West Indies in the ongoing test match, is cleared of any serious injury, Sri Lanka Cricket (SLC) said in an official statement a short while ago. The government has decided to curb underworld activities with the assistance of the tri-forces, State Minister of Defense Ruwan Wijewardene said yesterday. Had I taken just one hundred rupees from Aloysius, I too am a suspect according to Yahapalanaya, stated MP Namal Rajapaksa. 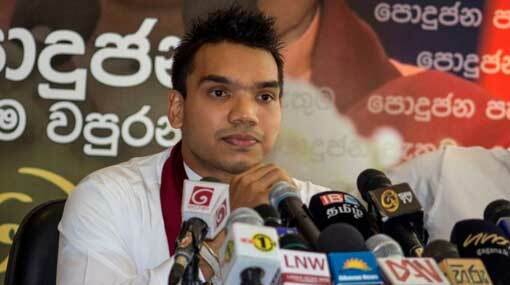 He made this comment at a press conference held in Vitharandeniya area, last morning (25). The government is considering retrenching the excess staff of SriLankan airlines by measures such as Voluntary Retirement Schemes, a report says. Past governments haven’t provided lasting solutions for certain issues in the education system, says Minister of Education Akila Viraj Kariyawasam. 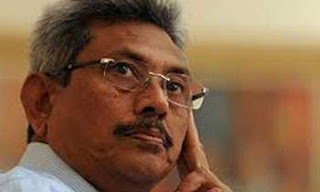 Former defense secretary Gotabhaya Rajapaksa arrived at the FCID this morning to make a statement over an alleged misappropriation of government funds to build a monument for his parents Police said. 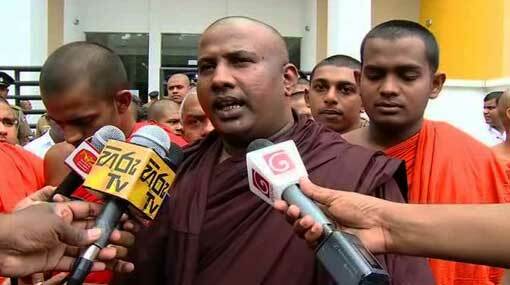 In response to critical remarks made by persons about a speech made by him in which the Nazi dictator Hitler was mentioned, Anunayake of the Asgiri Chapter Ven. Wedaruwe Dharmakeerthi Sri Ratanapala Thera clarified that he only meant governance based on firm policies with this reference. The deployment of another contingent of military personnel for UN peace keeping mission has been held up due to the delay in giving clearance for them by Sri Lanka Human Rights Commission of Sri Lanka HRCSL, it is learnt. 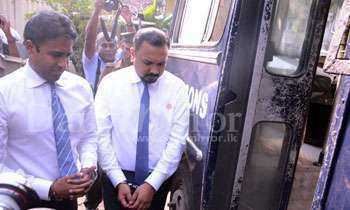 Perpetual Treasuries Chief Arjun Aloysius has given liquor sales dealerships from Mendis Ltd to several MPs at a discount, Deputy Minister Ranjan Ramanayake alleged yesterday. The Joint Opposition will not be able to come back to power in the year 2020, says UNP Parliamentarian Kavina Jayawardena. The reason was this, he said, was due to conflicting opinions among them. The Government would conduct a proper investigation into the incident, where a leopard had been killed by a group of youth in Kilinochchi recently, Leader of the House Lakshman Kiriella said yesterday. 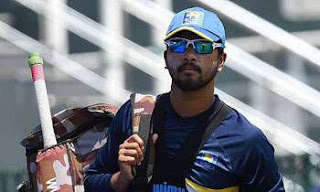 Judicial Commissioner Michael Beloff QC has dismissed Dinesh Chandimal’s appeal after he was found guilty of changing the condition of the ball breaching clause 41.3 of the ICC’s Standard Test Match Playing Conditions, during the second day’s play in the second cricket Test against the Windies in St. Lucia on Saturday. President Maithripala Sirisena expressed reservations yesterday over the huge profits recorded annually by state banks established to serve the local industries, the agriculture sector and save the rural people from loan sharks. Bodu Bala Sena (BBS) General Secretary Ven. 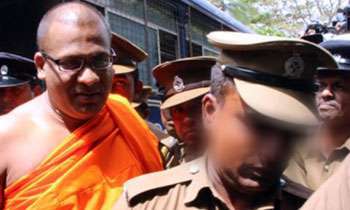 Galagodaatte Gnanasara Thera, who was sentenced to one year rigorous imprisonment, was granted bail on two sureties of Rs.500,000 each by Homagama Magistrate Udesh Ranatunga a short while ago. 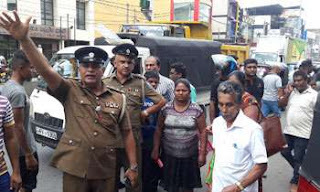 Three police officers and two civilians including a woman were injured during a gunfire exchange between the police and a gang which attempted to rob a jewellery shop in Matara this morning, Police Spokesman Ruwan Gunasekera said. He said more than six armed personnel had arrived to rob the shop. President Maithripala Sirisena yesterday said on January 8, 2015, the people of this country contributed to the change the administration of the country which was increasingly moving towards a dictatorship. The government will soon introduce new legislation -- in the form of an amendment to the Inland revenue Act -- to waive taxes on children’s savings accounts, Finance Minister Mangala Samaraweera told Parliament yesterday. The government should hold a referendum to determine whether the Sinhalese and the Tamils were willing to coexist with each other, TNA MP Sivagnanam Sritharan told Parliament yesterday. 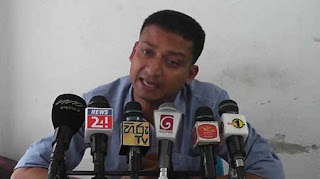 There is no conflict within the Joint Opposition, claimed Joint Opposition MP Dilum Amunugama, at a press conference today (21). An interesting legal battle is on the cards between the lawyers of Sri Lanka Cricket and International Cricket Council after the former reported to have decided to contest the ICC sanctions issued on Thursday, the Cricbuzz reported. A team of experts sent by the Indian government will visit the North to assess the need for road development in the province, Highways and Road Development Minister Kabir Hashim told Parliament yesterday. China’s state-owned China Merchant Port Holdings has paid the final tranche of US$ 584 million in the Hambantota Port investment to the Sri Lanka Ports Authority (SLPA). The joint opposition said yesterday people should stop paying taxes to the government, if it continues with its move to pay compensation to ex-LTTE combatants. Minister of Petroleum Resources Development Arjuna Ranatunga stated that a new type of petrol will be introduced for three-wheelers and motorcycles. According to Finance Ministry reports, the losses incurred by State institutions last year had exceeded Rs.50 billion, Speaker Karu Jayasuriya said at a workshop organized by the Committee on Public Accounts (COPA) yesterday.